We are located in picturesque Gover Street, North Adelaide, surrounded by some of Adelaide’s finest architectural homes and while providing all the perks of inner city living. 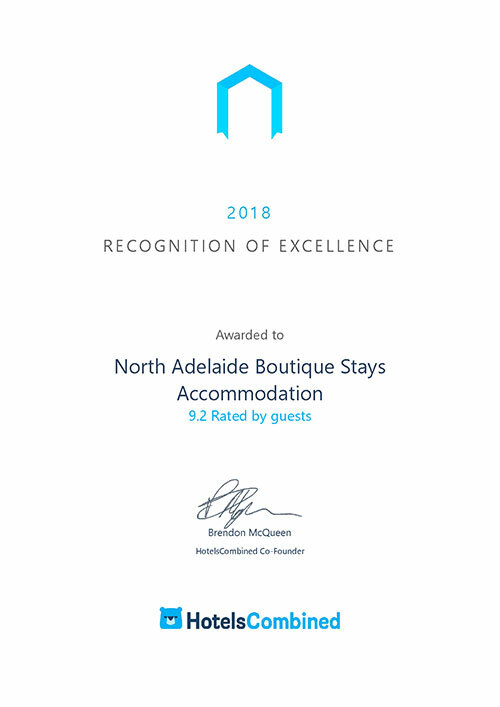 North Adelaide Boutique Stays offers you a retreat from the hustle and bustle of city life, yet situated only 2 kilometers from the Adelaide city centre, and walking distance from the iconic Adelaide Oval, award winning Adelaide Convention centre and majestic Adelaide Casino. A short stroll along our tree lined street brings you to an abundance of Adelaide’s favourite eateries. This savvy bar and dining precinct is alive and buzzing with a variety of cuisines at affordable prices. 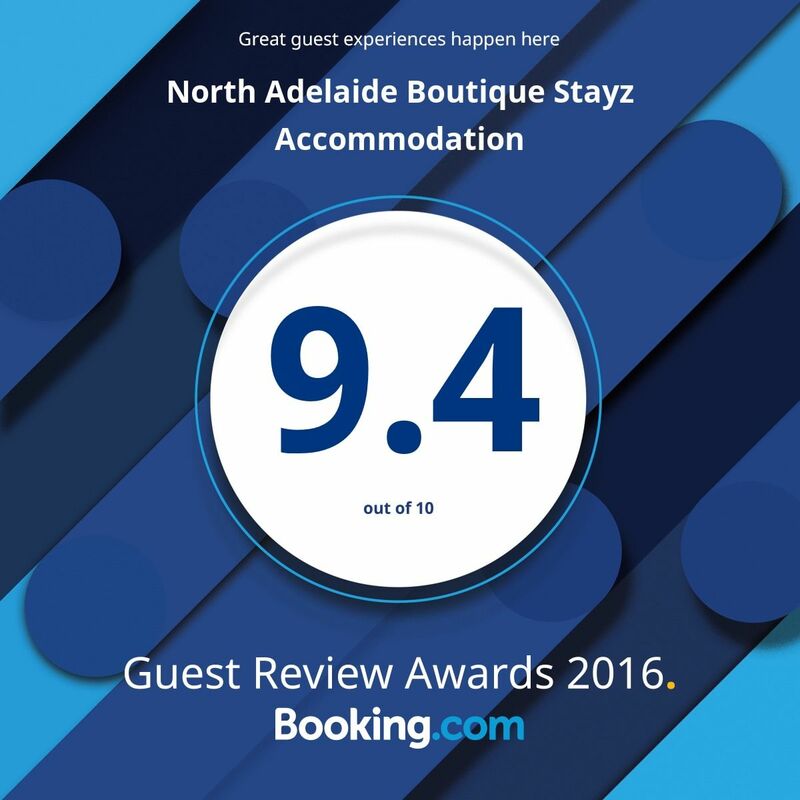 North Adelaide Boutique Stays is only an hours drive from our beautiful and popular tourist destinations like Victor Harbor and the Barossa Valley, and only 30 minutes from scenic Hahndorf and sunny Glenelg beach.